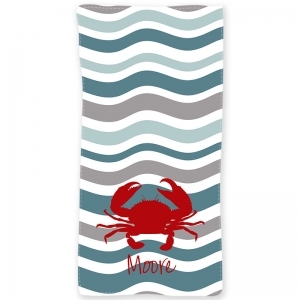 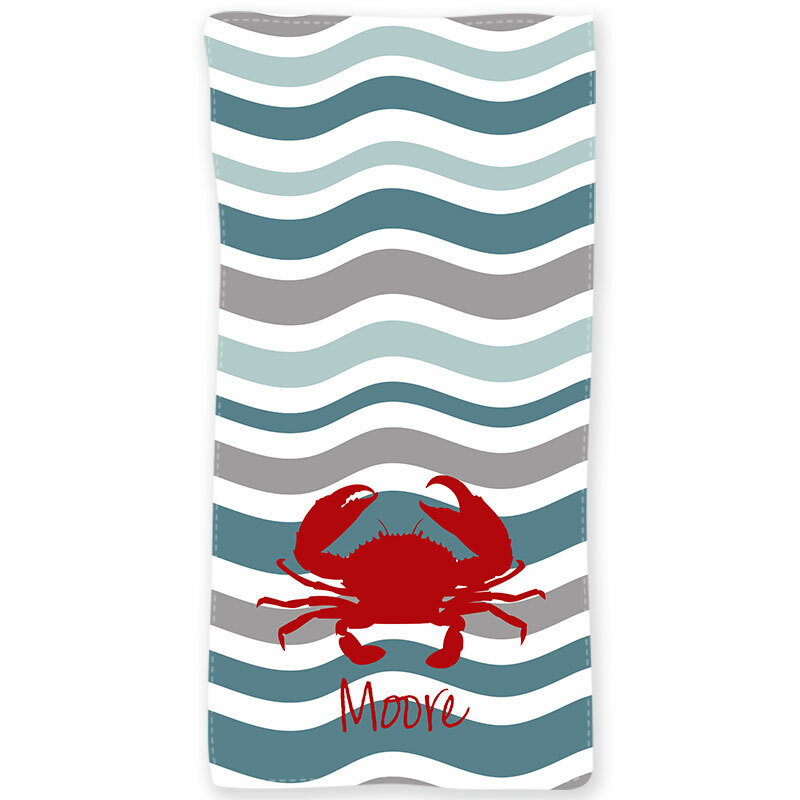 Our fun fabric Waves curtain in grays and green with a large red crab will liven up any bathroom. 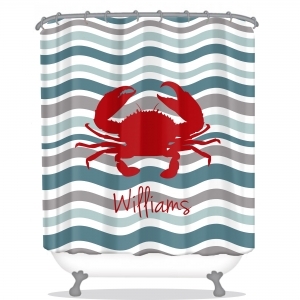 Enjoy this shower curtain with or without a monogram. 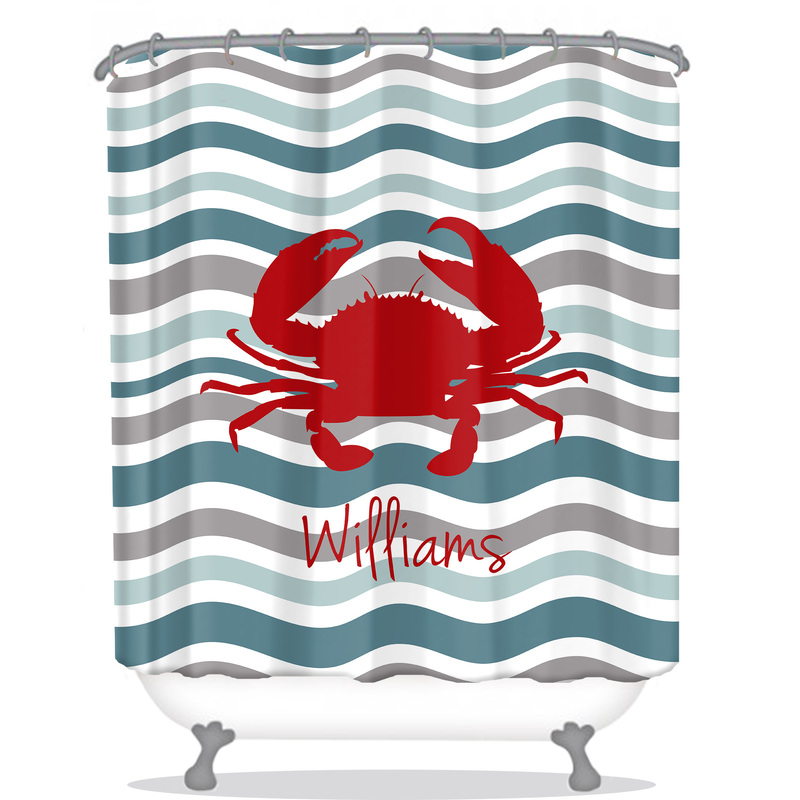 Our vibrant decorative shower curtains transform your everyday bathroom to an elegant personalized setting.